From catwalks to sidewalks around the world, the word on everybody’s tips is nail art! Anything is possible on the tiny canvases, where works of art can be customized to compliment any skin tone, outfit or other artistic inspirations. 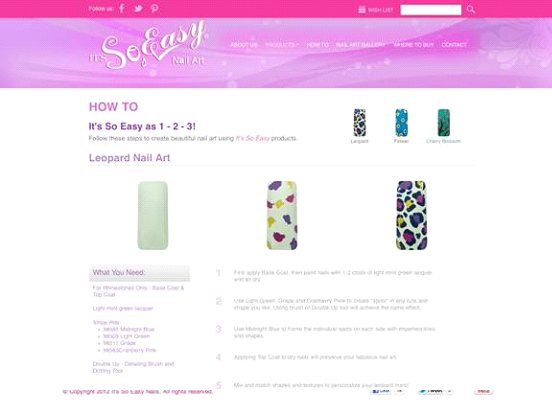 Join in on the fun and visit the NEW It’s So Easy® Nail Art website at www.itssoeasynails.com. Created for nail lovers everywhere, the It’s So Easy® website features a Nail Art Community. 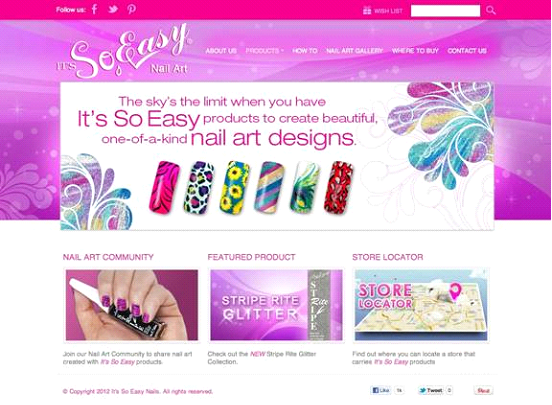 Fans can upload their nail designs, regardless of experience level, and interact with others through Facebook, Pinterest and Twitter. Finger art fanatics can have their wishes granted through the It’s So Easy® Product Section by creating a personalized Wish List. 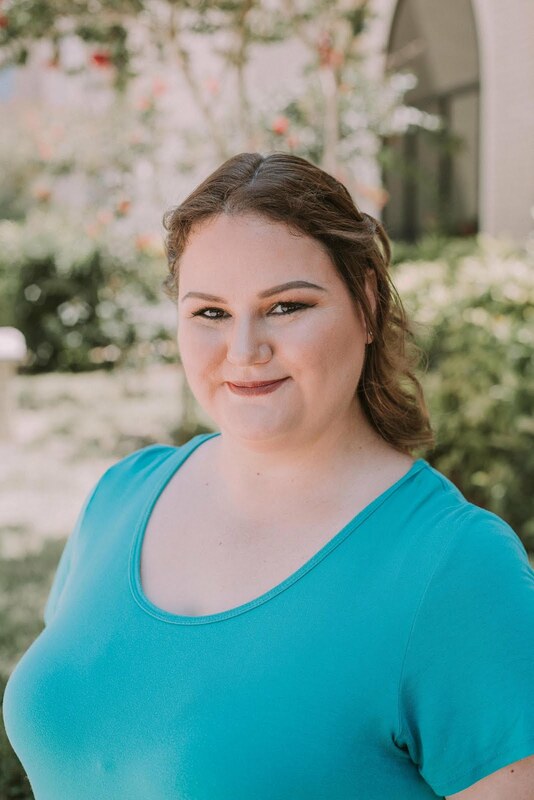 Users can select from Stripe Rites, loose glitters, cracked ice, rhinestones and more, then print or email to have their list on hand when visiting their nearest It’s So Easy® store location. Nothing is impossible when it comes to nail art and It’s So Easy®, a line of tools and accessories to create the ultimate nail creations. It’s So Easy® offers Stripe Rites, rhinestones, loose glitter, cracked ice, sealers and dryers, brushes and more to create fashionable, funky or festive fingers. 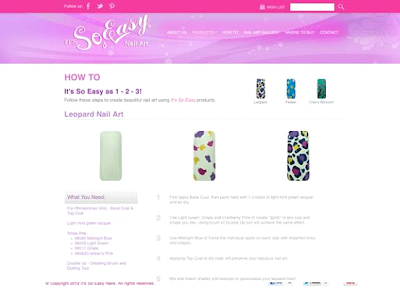 Visit the website at www.itssoeasynails.com for more information.